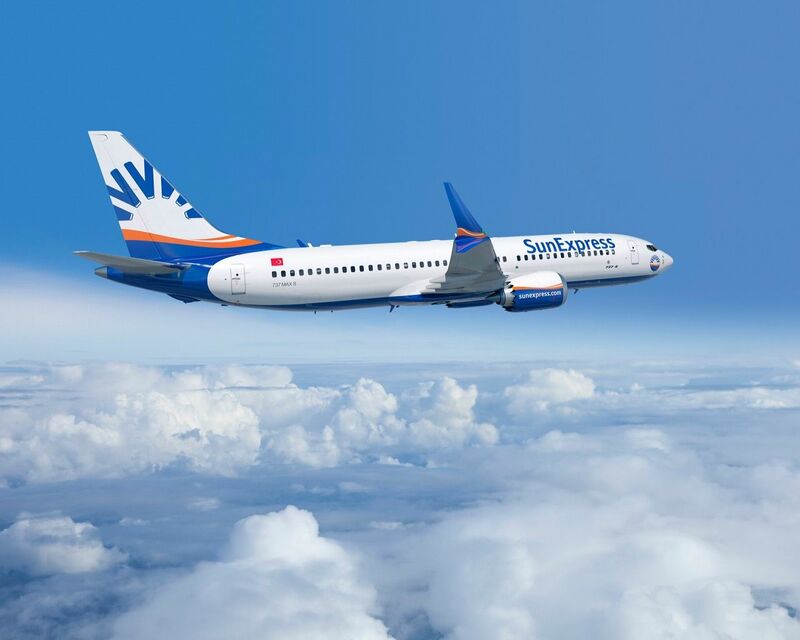 SunExpress will deliver 162 flights a week to 17 destinations in Europe from nine cities in Anatolia, including Adana, Ankara, Gaziantep, Elazığ, Konya, Kayseri, Ordu-Giresun Airport, Samsun and Trabzon. SunExpress has added 5 new European cities including London, Paris, Zurich, Amsterdam and Cologne to its flights departing from Ankara, bringing the total number of routes from Ankara to 12. Airline will add London and Zurich from Gaziantep, Hamburg, Münster and Strasburg from Kayseri, Stockholm and Düsseldorf from Konya, Munich from Samsun, Hannover from Elazığ to its Anatolia-Europe flight network. Özen says "We are always supporting Turks living in Europe" and adds, “As SunExpress, we have created an air bridge between Turkey and Europe. Our aim is to increase our Anatolian flights and provide a comfortable transportation for our Turkish citizens. We will be offering 134 thousand additional seats to 17 cities in Europe from 9 cities in Turkey with SunExpress' new flight schedule. In addition to the direct flights available in Anatolian cities we are offering flights to seven cities from Adana to Europe, three cities from Kayseri, five cities from Diyarbakır, one city from Erzurum, five cities from Gaziantep, two cities from Kars and Konya, one city from Malatya, three cities from Ordu-Giresun Airport, five cities from İstanbul and Samsun, three cities from Trabzon and to four cities from Van connected via İzmir”. SunExpress Trade Director Peter Glade stated that SunExpress is an airline focused on customer satisfaction and added, “Our aim, together with our business partners, is to meet all travel needs of our passengers. We are the only airline with deep roots both in Turkey and in Germany. No other airline can understand Turks living in Europe and Germany as well as we do. This gives SunExpress the responsibility to link both our bases, Turkey and Europe, especially Germany”. 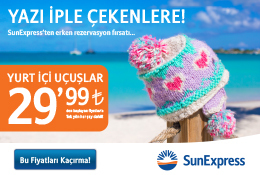 SunExpress was founded in Antalya in 1989 as a subsidiary of Turkish Airlines and Lufthansa. Now with 28 years of experience in the aviation sector and in holiday expertise, SunExpress offers more than 1300 weekly flights to more than 80 destinations between Turkey, Europe and the Canary Islands, the Red Sea and North Africa. SunExpress employs more than 3800 employees in Antalya, Frankfurt, Izmir, Ankara and Istanbul. SunExpress carries more than 8 million passengers each year with its fleet of 70 aircraft, one of the youngest in Europe.